Managing your privacy online should be a priority, something you review multiple times a year. 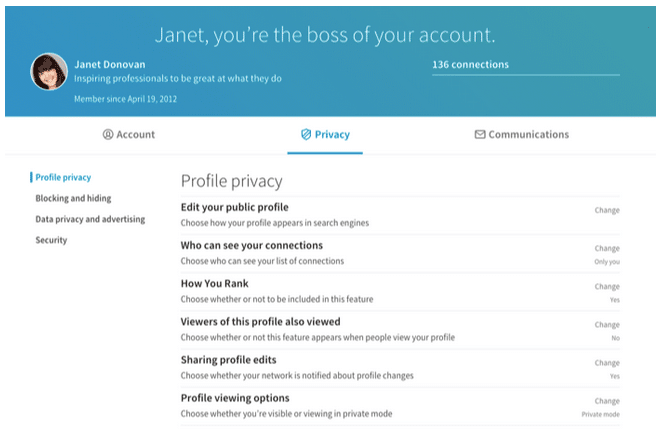 LinkedIn updated privacy settings will roll out to all LinkedIn members in March 2016. It has been reported that that no settings have been taken away and no default or preferences have been changed – LinkedIn rather has simplified access and functionality of the settings page. 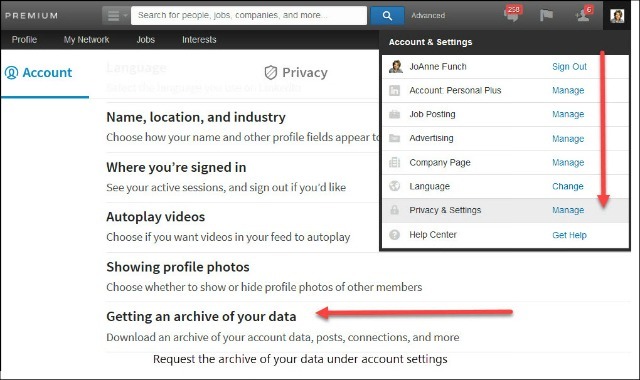 You continue to access “Privacy & Settings” from the drop down menu under your image in the upper right corner of your LinkedIn profile. You will see a redesigned header which is congruent with the redesign of group pages that has a large, colorful header. At the top you see the page has three sections: Account, Privacy and Communications. As of this post my own profile has not rolled over to the new design, so here is a screen shot provided by LinkedIn. • Account includes things like adding email addresses, changing your password or language, and exporting your data. • Privacy covers all privacy and security settings related to what can be seen about you, what information can be used, and making sure your account stays secure with a second factor of authentication. • Communications houses your preferences for how LinkedIn and other members are able to contact you, and how frequently you’d like to hear from us. When you signed up for your LinkedIn account you were asked if you wanted to upload your contacts (your address book) which I always recommend NOT doing this. If you do upload your contact, LinkedIn will send them an email asking them to join LinkedIn. Inexperienced users typically will do this because they do not know what they should not do it. I am of the opinion that we should protect our contacts email addresses and not give them out – simple as that. With this new “Privacy & Settings” update LinkedIn is letting us know how they are sharing info about your contacts. If a member has your email address or phone number in the contacts they upload to LinkedIn, we may suggest they connect with you. We’ve added new settings options that let you choose who can see you as a suggested connection when they have your contact info. 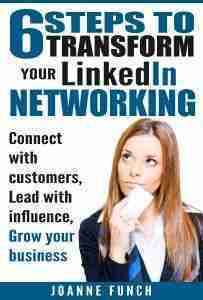 As always, it’s up to you to decide how you want to grow your network, and which invitations you want to accept. Here is an image from LinkedIn showing you how the setting option will appear to you. Remember, you are in charge and responsible for this and the other settings. I recommend you always add a personal email address in addition to your business email. This protects you in case you leave your place of employment and your email address is turned off, you still can access your account. You should also have two phone number contacts on your settings page. • Choose whether or not to share your profile edits – I suggest you leave this box unchecked. If you want your network to know about a specific update, turn it on, make your update and turn it off again. This prevents any minor updates being posted out into the news feed. • Select who can see your activity feed – I recommend you choose ‘Everyone’ – because if you are networking and want to be active then you want people to see your activity. This keeps you top of mind. • Select who can see your connections – I would make this decision based on your role. Many sales people do nt want others t see their contacts so they set this as ‘Only You’ to protect those you are working with. • Choose who can see your updates – My suggestion is “Everyone’ and why not? If your goal is to gain more exposure for your personal and/or corporate brand than this makes sense. • Viewers of this profile also viewed – I keep this box unchecked because if people are searching for someone with my skills I don’t want them to find my competitors that easily. I recommend you go through each setting one by one and decide what makes sense for you. Settings should be reviewed several times a year as your situation changes and if there are updates by LinkedIn that you may not have been aware of. JoAnne – Thank you for this information. I wouldn’t have given it a thought – but should. I appreciate your updates and expertise in an important arena that, frankly, befuddles me at times. Caryn – thanks for the comment. Yes managing ones security and privacy settings are important – glad to keep you in the know!